Leadership and innovation is essential to improving public health and never more so than when faced with an opponent as formidable, and well-resourced, as the global tobacco industry. Plain packaging policies for tobacco products do not allow any colors, logos, or markings on tobacco packaging, and the brand names of the product are all printed on the packaging in a standard font and size. One of the very first arguments to emerge against the introduction of tobacco plain packaging was that it wouldn’t work and had never been done before. By this logic, no tobacco control policy could ever actually be implemented as someone, somewhere, has to be the first. 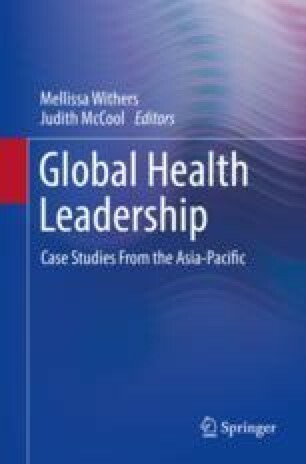 This chapter outlines how Australia came to be the first nation in the world to adopt plain packaging regulations for tobacco products and summarizes some of the key lessons learned for advancing innovative public health policies. What historical factors helped set the stage for tobacco plain packaging in Australia? How did international organizations and other governments support the success of this program? What guidelines and recommendations are outlined in the FCTC and MPOWER? What can other public health advocates learn from the plain packaging success in Australia? Countering opposing arguments is a key public health advocacy strategy. How would you counter opposition for other health issues, such as gun control or sugar tax increases? How can nations with less resources than countries like Australia adopt policies that are likely to be subject to costly legal challenges? How do corporations influence public policy? How can or should this be managed? Chapman, S., Freeman, B. (2014). Removing the emperor’s clothes: Australia and tobacco plain packaging. Sydney: Sydney University Press. Retrieved from: http://purl.library.usyd.edu.au/sup/9781743323977. Maddox, R., Durkin, S., Lovett, R. (2016). Plain packaging implementation: Perceptions of risk and prestige of cigarette brands among Aboriginal and Torres Strait Islander people. Australian and New Zealand Journal of Public Health, 40(3):221–5. Mitchell, A.D., Voon, T., (2014). The global tobacco epidemic and the law. Cheltenham, UK: Edward Elgar Publishing, Limited. Scollo, M.M., Freeman, B., Greenhalgh, E.M. (2016). Packaging as promotion. 11.10. In Scollo, M.M. and Winstanley, M.H. (editors). Tobacco in Australia: Facts and issues. Melbourne: Cancer Council Victoria. Retrieved from: http://www.tobaccoinaustralia.org.au/chapter-11-advertising/11-10-tobacco-display-as-advertising1. Wakefield, M.A., Zacher, M., Bayly, M., Brennan, E., Dono, J., Miller, C., et al. (2013). The silent salesman: An observational study of personal tobacco pack display at outdoor café strips in Australia. Tobacco Control, 23:339–44. ABC News. (2017). Australia wins landmark WTO tobacco plain packaging case. Retrieved March 14, 2018, from http://www.abc.net.au/news/2017-05-05/australia-wins-landmark-wto-tobacco-packaging-case/8498750. Australian Government Department of Health (2014). Retrieved March 14, 2018, from www.health.gov.au/internet/main/publishing.nsf/Content/822B369C0196CB1CCA257D140082A22F/$File/TPP%20%20Your%20Guide%20(High%20Res).PDF. Australian Government Department of Health and Ageing. (2012). Introduction of tobacco plain packaging in Australia. Retrieved March 15, 2018, from http://www.health.gov.au/internet/main/publishing.nsf/content/tobacco-plain. Boseley, S. (2015). Bloomberg and Gates launch legal fund to help countries fight big tobacco. The Guardian. Philanthropy. Retrieved March 14, 2018, from https://www.theguardian.com/society/2015/mar/18/bloomberg-gates-foundation-fund-nations-legal-fight-big-tobacco-courts. Canadian Cancer Society. (2016). Cigarette package health warnings: International status report (5th ed.). Retrieved March 10, 2018, from http://www.tobaccolabels.ca/wp/wp-content/uploads/2016/11/Cigarette-Package-Health-Warnings-International-Status-Report-English-CCS-Oct-2016.pdf. Cancer Council Victoria. (2016). Effects of legislation in Australia. Retrieved March 14, 2018, from https://www.cancervic.org.au/plainfacts/browse.asp?ContainerID=effectsoflegislation. Central Intelligence Agency (CIA). (2016). CIA World Factbook. Retrieved March 14, 2018, from https://www.cia.gov/library/publications/the-world-factbook/. Chapman, S., Freeman, B. (2014). Removing the emperor’s clothes: Australia and tobacco plain packaging. Retrieved March 14, 2018, from http://purl.library.usyd.edu.au/sup/9781743323977. Forbes. (2017). The world's most valuable brands. Retrieved March 15, 2018, from https://www.forbes.com/powerful-brands/list/-tab:rank. Gittins, R. (2011). Under fire, big tobacco rolls out the poor little stupid nation argument. Sydney Morning Herald. Business. Retrieved March 15, 2018, from http://www.smh.com.au/business/under-fire-big-tobacco-rolls-out-the-poor-little-stupid-nation-argument-20110529-1fb12.html. Parr, V., Tan, B., Ell, P., Miller, K. (2011). Market research to determine effective plain packaging of tobacco products. Prepared for Department of Health and Aging. GfK Blue Moon. Retrieved March 16, 2018, from https://www.health.gov.au/internet/main/publishing.nsf/Content/C5E90158113E0DC6CA257D120011725C/$File/Market%20Research%20-%20Plain%20Packaging%20of%20Tobacco%20Products.pdf. Physicians for Smoke-Free Canada. (2008). The plot against plain packaging. Retrieved March 16, 2018, from http://www.smoke-free.ca/pdf_1/plotagainstplainpackaging-apr1'.pdf. Quit Victoria. (2011). Tobacco industry persuades people to support plain packaging of cigarettes [Media release]. Retrieved March 15, 2018, from http://www.quit.org.au/media/article.aspx?ContentID=27_mar_201103. Quit Victoria, Cancer Council Victoria. (2011). Plain packaging of cigarettes: A review of the evidence. Retrieved March 16, 2018, from https://www.cancervic.org.au/plainfacts/browse.asp?ContainerID=plainfacts-evidence. Scollo, M. (2012). Figure I.2. Major tobacco promotion & tobacco control policies versus regular smoking & per capita consumption of tobacco products, Australia 1910 to 1960 (5-yrly), 1960 to 2010 in Introduction. M. Scollo & M. Winstanley (Eds. ), Tobacco in Australia: Facts and issues. Retrieved March 14, 2018, from http://www.tobaccoinaustralia.org.au/introduction. Scollo, M., Freeman, B., Greenhalgh, E. (2016b). 11.10.8 Milestones in adoption of legislation. 11.10 Packaging as promotion. Tobacco in Australia: Facts and issues. Retrieved March 16, 2018, from http://www.tobaccoinaustralia.org.au/chapter-11-advertising/11-10-tobacco-display-as-advertising1. United Nations Development Programme (UNDP) (2016). Human development report 2016. Retrieved March 14, 2018, from http://hdr.undp.org/sites/default/files/2016_human_development_report.pdf. World Health Organization (WHO). (2005). WHO framework convention on tobacco control. Retrieved March 16, 2018, from http://apps.who.int/iris/bitstream/10665/42811/1/9241591013.pdf?ua=1. World Health Organization (WHO). (2015). WHO statistical profile. Retrieved March 14, 2018, from http://www.who.int/countries/en/. World Health Organization (WHO). (2016). Plain packaging of tobacco products. Evidence, design, and implementation. Retrieved March 16, 2018, from http://apps.who.int/iris/bitstream/10665/207478/1/9789241565226_eng.pdf?ua=1.